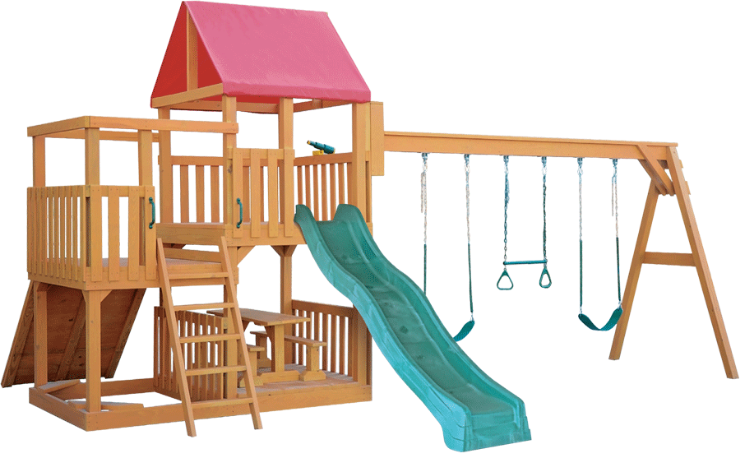 We are pleased to bring you some of the finest playsets available today. 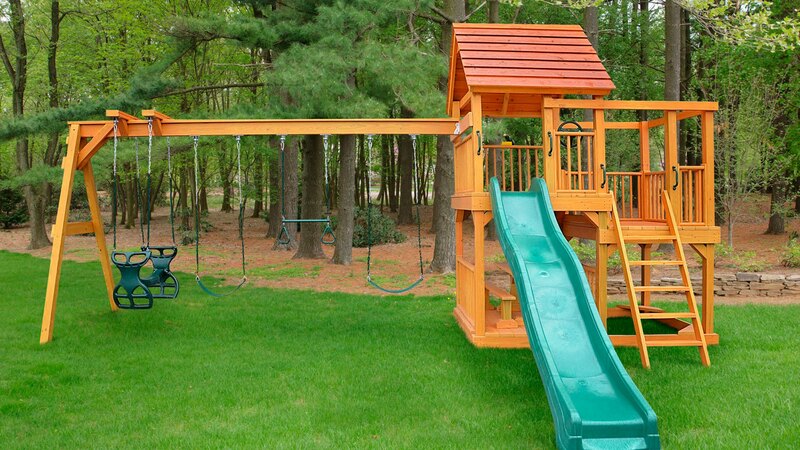 From the quality of our premium grade building materials, to the coated swing chains, every detail of our playsets has been addressed to ensure a lifelong investment worthy of your trust. 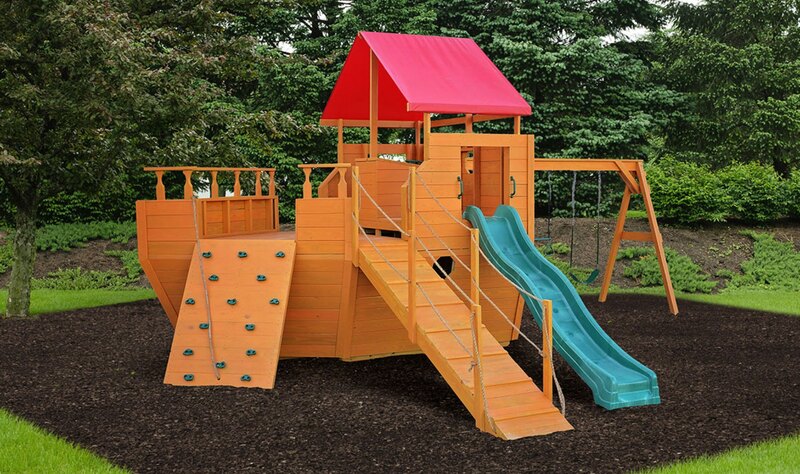 Each piece of wood used in our playsets has been carefully smoothed and shaped for comfort during our in-house molding process, and three coats of water sealer are applied to the entire structure to ensure longevity and visual appeal for years to come. A large 5’x8’ Split level tower with both 5’ and 6’ deck heights. Includes a tarp roof, picnic table with benches, ladder, slide, safety handles, steering wheel, and telescope. 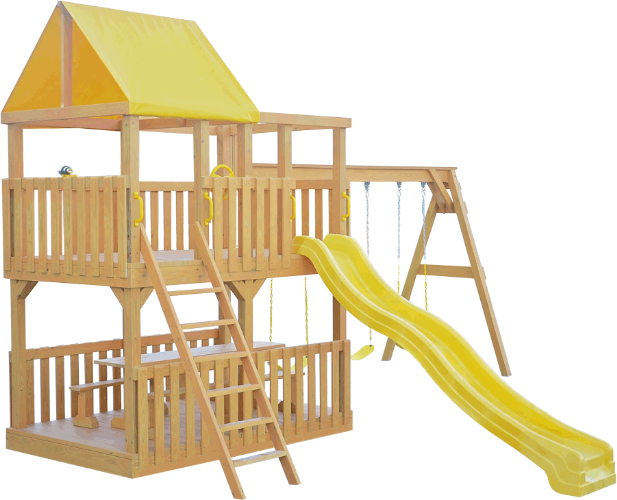 Shown with optional cedar roof, 4 position monkey bar attachment, and tunnel slide. A large tower with 5’ floor height. Includes a tarp roof, picnic table with benches, ladder, slide, safety handles, steering wheel, and telescope. Shown with optional 3-position attachment. A 5’x8’ split level with both 4’ and 5’ floor heights. One side of base has a sandbox, and the other side includes a picnic table with benches. 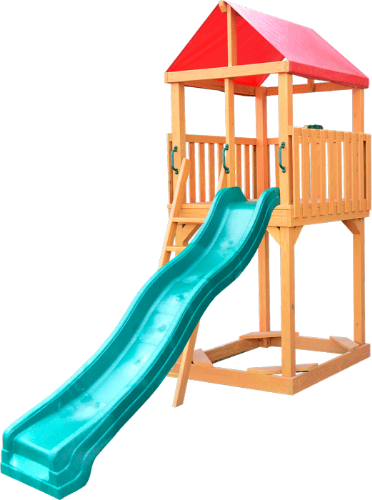 Includes ladder, slide, safety handles, steering wheel, and telescope. Shown with optional 3 position attachment and rock wall. A 4’x5’ tower with a 5’ floor height. 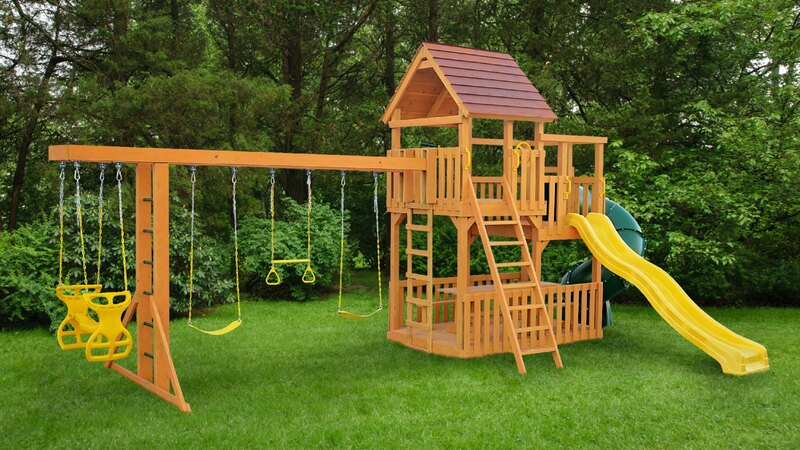 Includes a tarp roof, sandbox base, ladder, slide, safety handles, steering wheel, and telescope. 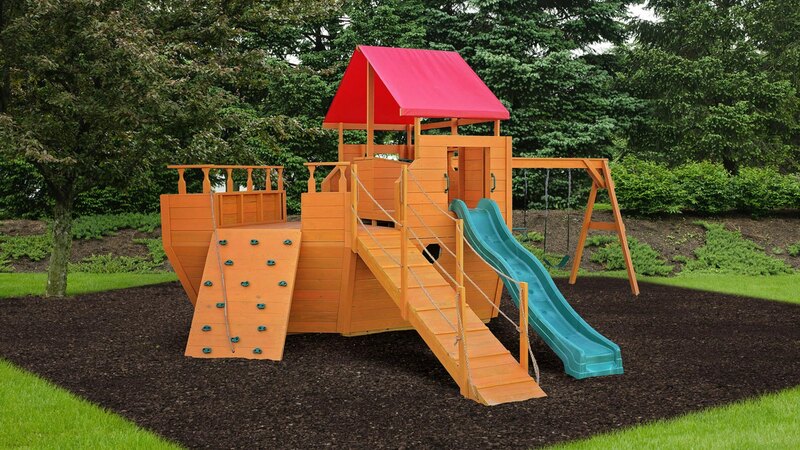 A large 8’x13’ Pirate Ship with 4’ and 5’ deck heights. Includes tarp roof, interior and exterior ladders, slide, safety handles, steering wheel, and telescope. Shown with optional 3 position attachment, 10’ ramp, and rock wall. 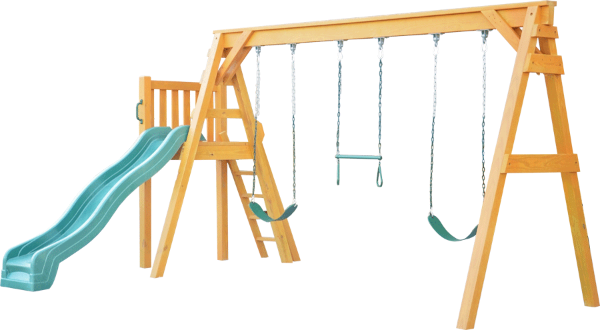 Free-standing 3 position a-frame swing-n-slide includes ladder, slide, 2 belt swings, and 1 trapeze bar. 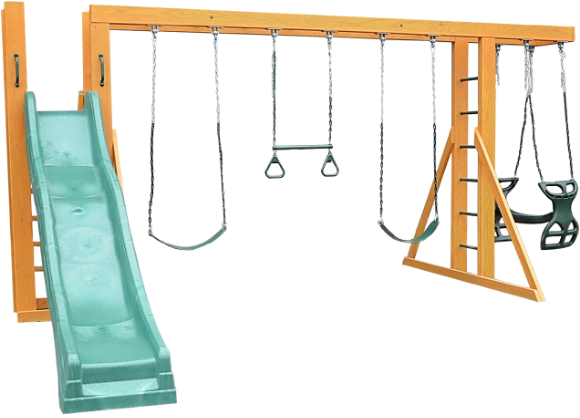 Free-standing jungle gym-n-slide includes ladder, slide, monkey bars, 2 belt swings, 1 trapeze bar, and 1 horse glider. At Kauffman's of Clarkrange, quality is more than a theory—it’s a Golden Rule commitment, rooted in our beliefs and values. We put our hearts and best work into our craft, and take deep satisfaction in knowing that each product we sell is built to high quality specifications and uncompromising standards.